Cynthia Parsons McDaniel started her career as a reporter for The Boston Globe covering arts and entertainment while studying journalism and photography at Northeastern University. She then became a correspondent for them while studying drama, film and photography at the University of London. She has had articles published in leading magazines such as Newsweek, Elle Decor, Elle, American Photographer, and InStyle covering film, television, photography, architecture, music, fashion, and interior design. 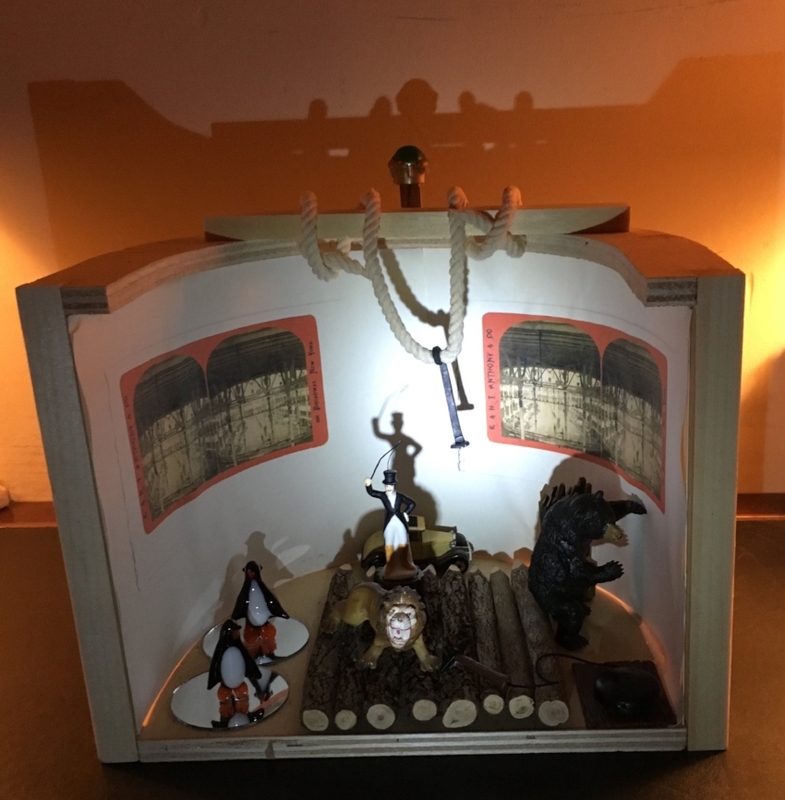 Her multi-media box dioramas as much a part of the fine art world as the miniatures hobby, but she was thrilled to have her work included on this site. Visit her on the Web by clicking here, and be sure to see her interview elsewhere on this site with exhibition specialist Tom Doncourt about the dioramas at the American Museum of Natural History in New York.